504 Main by Holly Lefevre: A little something for me...a lot of somethings for you! A little something for me...a lot of somethings for you! Wowie...another crazy week and lots of awards to share. 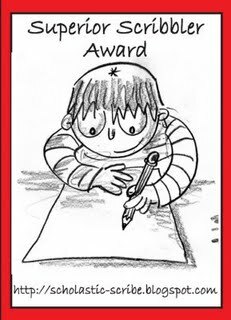 to all those bloggers who have passed on the following awards! so, check the list...and I am working on it! I still have a Theta Mom tag to finish! And a turkey dinner to prepare! go to the bottom of the post. Thanks everyone for playing along with me. but alas no such luck! Only one winner here! From Jenn at Rook No 17 passed on this award...Muchas gracias! Pass on the award to 10 other people while notifying and prompting them to do the same. Kori at Blonde Episodess created this sparkling award (my favorite kind) and passed it on to me...XOXO! 1. Link the person who gave you the award. 2. Pass the award on to 10 blogs and link those who you gave it to. 3. Let those bloggers know you chose them! 4. Post your award on your sidebar if you so choose. 5. Recopy the rules for someone else. Blonde Episodes...I am not regifting...I just think Kori did such a great job that she deserves one of her one awards! I'll play the game and list 10 random facts about me, per the rules of acceptance of the award! My list is a little lame..sorry! I love serial killer movies, books, anything. When I was younger, the Night Stalker was "loose" In So. Cal. and my brother and I decided that it would be a good idea to have a camp out in our backyard. For my next career switch, I am going to design wedding gowns. If I could live anywhere in the world, I would probably move back to L.A. I would love to try living in NY for at least one year...I wish I would have went to design school there. My house (in L.A.) was on Jack La Lanne juicer commercial. We were not home when they filmed it...I was having a baby! My favorite sandwich is pickles and cheese...Oh yeah, it is really good (and nutritious! )...white bread, processed cheese, mayo, and sliced dill pickles. I have not had one in ages, but was FAMOUS for them in school. I go to bed at 1:30 am, get up at 7:00 am and drink A LOT of coffee. I am a magazine junkie...seriously you have no idea how many I have...and neither do I.
I fight the urge to put on sweats and "call it a day" everyday...I do sometimes wear yoga pants, but I always wear mascara and lip gloss! - put the lemonade logo on your blog or within your post. -Link to your Nominees and leave a comment on their blog telling them about the award. -Link to the person whom you received the award. And now for last weeks whoopsie...SORRY! Oh, you thought I was done...NOT YET! Being creative in any way shape or form! My hubby's contribution is this: "comments and followers"...he thinks I am obsessed! I couldn't deal with the random-number-computerized thing, so everyone's name (each entry, as per the post, got one ticket). I threw them in the good old orange bucket and picked a winner! Just like the old days! I promise I am done. PS- Is my font easier to read now? PSS-I am working on my button/badge display. If anyone wants to swap buttons let me know! I am speachless!!! I never win anything then to win this super cool stamper!!!!! And thank you for the nod! Holly...Diamonds are MY best friend, and I love this award!! Dang girl, that was one hell of a post!! Congrats on all of yours and Thank you!! awe congrats on all your bling my friend! you deserve them all. you are fabulous!! congrats to the winner of your giveaway! woohoo! Thank you for the beautiful flowers! I am a serial killer junkie, too! I also read forensic pathology books. I'm a little strange. I also get very little sleep. My bedtime ranges from 12-2 am but I always have to get up at 6...except on the weekends!! Wow! Congratulations to you and to your winner! Thank you so much for my award! I would love to swap buttons with you. The problem is, I don't know how to make one! Congratulations MJ! Holy awards batman! You go girl! You deserve every one of them, you know I heart your blog. 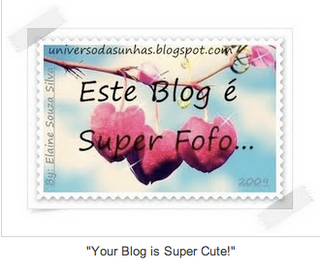 :) Thanks so much for passing the bloggy love my way, means a lot! Congrats on all of your awards and thank you for mine! It's a new one for me & I'm so excited! I'm off to check out some of these new peeps you mentioned. Thanks so much for the award! I really appreciate it! It's so nice to be loved... :) And congrats on all yours! You deserve them! And I'll grab your button! Aww Thank YOU! My first award! sniff. sniff. So sweet! You must be exhausted after linking up all those awards! Off to check out some of the other big winners! 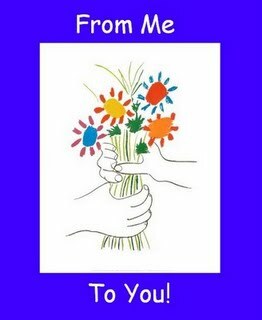 I love flowers as you can see from my profile pic. This was one of my favorite pots of flowers on the deck this summer. Congrats on receiving so many fun awards. I enjoy your blog very much! I can only imagine how long it took you to complete this post. Yikes. Thanks Holly. Look at you go. OH MY GOODNESS! An award?! For little ol' me and my silly little blog?! I don't know what to say! First, I'd like to thank the academy, oh, no, wait, that's my OTHER acceptance speech! You're so sweet to hand over the heartfelt award! I can't believe it! You KNOW I'm going to BRAG, BRAG, BRAG all about it on my blog tomorrow!! Thank you SO MUCH!! Wow - congrats on all your awards. You rock!!! Thanks so much for mine, too. I will be posting about it this weekend. Yeah! Holy Freakin' Cannoli Holly! How do you do it? You must need a Spa weekend after completing that post! Wow! Congratulations on receiving so many great awards! And thank you so much for passing one on to me. 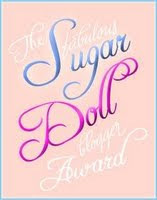 I'm always thrilled to receive an award and there just isn't anything better than being recognized by a fellow blogger. Thank you so much! oh my goodness that's LOTS of awards! Congrats on them ALL and thanks so much for mine! I need to do another ceremony myself... but WOW this one must have taken you forever!!! Wow! You go girl! ALl those awards- and thank your for mine...I dont even know 9 blogs LOL! Oh my goodness! Gonna have to work on this one! Just wanted to say that Pretty in Pink is also one of my favorite movies. Thank you thank you! I will post it tonight! :) I have barely had time lately to get my blogs done. So the cheese bread...I had to finally tell myself, walk away from the bread bowl. It was fabulous and I've been eating little bits for breakfast. Totally taking it as a holiday party gift. Wow! Congrats on those awards! Oh, yes, and to your award recipients. Dang that's a whole lot of them! I sleep very little too as I figure once I'm dead I have nothing else to do but sleep. And, I have a love affair with coffee. I convince myself I need it, but really, i don't. I just LOVE the way it smells and tastes! Thank you so very much! I'm so sorry I'm late to collect. This is wonderful! A new one to me and I love it! Thank you for thinking of me! Hope you have a fabulous Holiday! Thank you, Holly! I'm sorry it has taken me so long to let you know how much I appreciate your . . . appreciation! Congrats on all of your awards! You changed your blog - it looks super-cute! Thanks for passing an award on to me! I hope you had an awesome Thanksgiving. Phew...that is a lot of awards...and a lot of lists!! I can only imagine how tired you are from writing all of those ;) Hope you have a wonderful Thursday! !